Os kulturutvikling (OK) is a non-profit foundation in Os, Norway. The foundation hosts the Os International Symposium of Sculpture, and is also responsible for the Vognhallen project and other cultural initiatives. 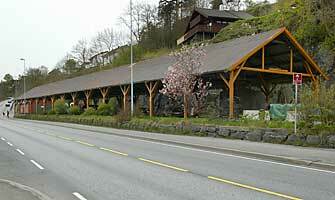 Vognhallen is an old garage built to house railway carriages. Os kulturutvikling intends to restore the garage into workshops, studios and showrooms. On several occasions Os kulturutvikling works together with other local organizations. The annual Jazz festival in Os is one project where Os kulturutvikling is one of the co-operating partners.